Now you can show your sister how much she means to you with our sister necklace. 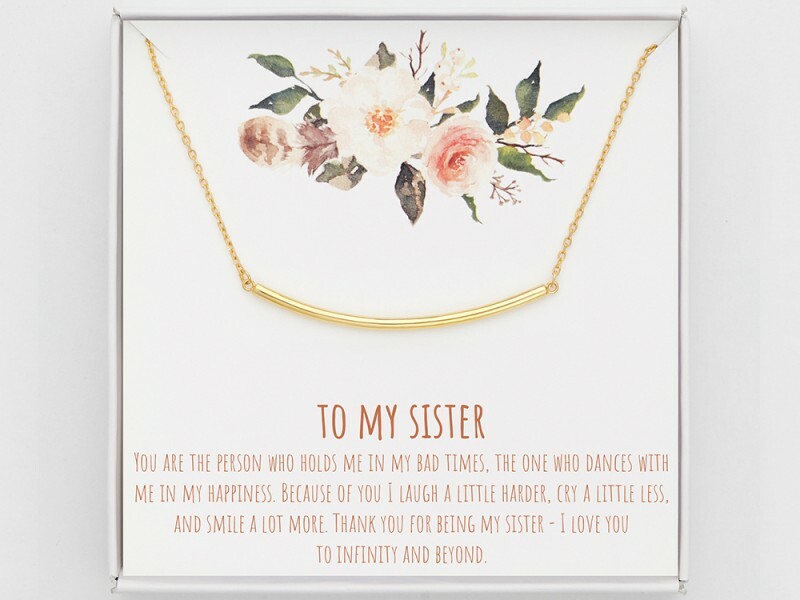 Arrives in a beautiful box with a heartfelt note perfect for safekeeping and gift-giving, this sister necklace will be the best gift and the reminder of her strength and that you are always there for her. You are the person who holds me in my bad times, the one who dances with me in my happiness. Because of you I laugh a little harder, cry a little less, and smile a lot more. Thank you for being my sister - I love you to infinity and beyond.